This Event has been read: 575 times. 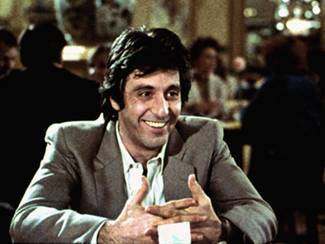 I don’t mix anything with Champagne or any other of the world’s finest wines and Champagne is to me the greatest of all the wines on the planet earth. This was a new champagne house that was brought to us by one of our good friends that visited the Champagne region and stumbled across this small producer. He hit it off with the family and decided to represent the brand in the state of Florida. This is a very competitive market and with so much of the business in this segment of the market going to the big brands it is refreshing to see another small artisan producers Champagne now available in South Florida. 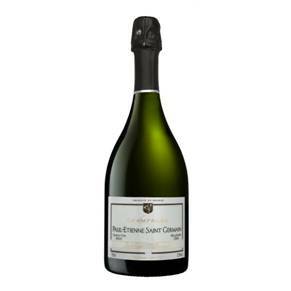 The Maison PAUL-ETIENNE SAINT-GERMAIN was created out of the love and passion Agnès and Jean-Michel Lagneau had for their native land of Epernay, their rich winegrowing culture and their attachment to family history. As far back as they can remember, they have never left the authentic world they so love. 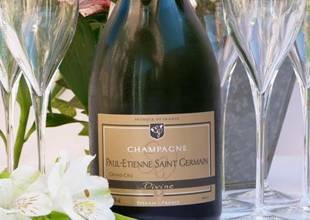 After 20 years spent in the higher spheres of local economics (including LVMH), Jean-Michel fulfilled his dream and created, with his wife Agnès, his own make of champagne, Paul-Etienne Saint-Germain, in a sublime tribute to his children, Pauline and Etienne. Made from excellent varieties, Chardonnay and Pinot Noir Grands Crus, for a prestigious clientele, Relais & Châteaux, Leading Hotels of the World, in the most high-end national and international resorts, Paris, Deauville, Courchevel, Cannes, Saint-Tropez, New York, Miami… as well as for you, to be indulged in at your own table. Delicious assemblages for privileged moments. 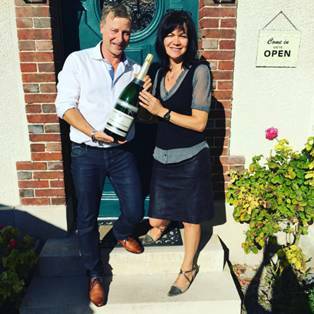 We have the owner/winemaker Agnès and Jean-Michel Lagneau from this tiny Champagne house here at Wine Watch on Saturday April 13th here at the new Wine Watch Wine Bar. Toni Lampasone will be making a special menu to accompany the tasting wines and this event is limited to 16 tasters. The fee for this tasting is $150 + tax, for reservations call 954-523-9463 or e-mail andy@winewatch.com. This is done in a traditional way in thermo-regulated stainless steel vats where partial malolactic fermentation occurs. ( 29% reserve wines ) No animal proteins are used to clarify the wines and they are stabilised to prevent tartrate precipitation. The wine is clear and brilliant with gold reflect. 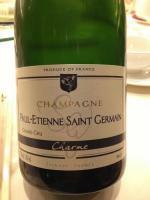 Foam is delicate and persitante, forming a steady stream of fine bubbles. The bouquet is rich of the white flowers. The elegant nose reveals freshness and roundness of one spirit wine, a distinct immediate freshness of the greatest Chardonnays. The palate is floral aromas of linden and hawthorn. It’s perfect poise lends a lightweight sensation. Winery Notes: 100% Pinot Noir, pale Gold Color, with gold glimmering sparkles and a mousse forming a bubbling string. The combination of fruity and honey aromas reveals a strong nose. A very paradoxial mouth, which allies power and lightness. A subtle mix of gingerbread and leather, a very long finish associating fruity and flowery aromas. 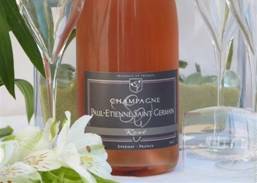 This exceptional Champagne will surprise you by its finesse, balance and strength. 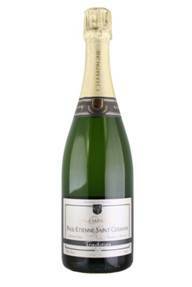 This Prestige Vintage Cuvee is the flagship Champagne of PAUL-ETIENNE SAINT GERMAIN. 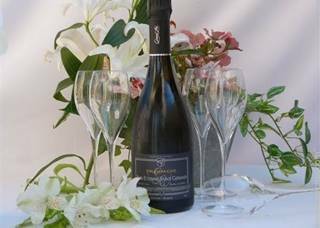 Blended in equal measure with Chardonnay from Avize and Pinot Noir from Verzenay, this wine expresses the terroir and noble character of Grand-Cru Champagne. Pale gold in color with brilliant highlights, the wine exhibits a delicate mousse while forming a stream of fine bubbles. The nose is both floral and fresh, revealing notes of pistachio and hazelnut. The mouth reveals an elegant, fresh and complex wine that is signature Grand Cru. Floral and spice aromas accompany a long finish. For a moment of privilege, Sublime exemplifies the essence and passion of revered Champagnes. The fee for this tasting is $150 + tax and is limited to 16 tasters for reservations call 954-523-9463 or call 954-523-9463.